Beekeeping: Eco-Friendly, Healthy, and Completely Illegal in L.A.
“Urban beekeeping is the hobby du jour in cities across America. And why shouldn’t it be? Through pollination, bees are responsible for producing about one-third of the country’s food supply. Raising bees in cities and towns, then, helps ensure food security, produce local honey and honey-based products, and help conserve honeybees, which are rapidly dying out due to Colony Collapse Disorder (CCD). Despite the multitude of benefits of urban beekeeping, the practice is totally illegal in many cities, including Los Angeles. Groups and citizens that raise their own bees — like L.A.’s Backwards Beekeepers — have to do so on the sly. To help better understand why cities should legalize beekeeping, I caught up with Max Wong, a Los Angeles beekeeper and member of Backwards Beekeepers, an organic bee club. The group considers itself backwards because members practice sustainable beekeeping and do not treat their bees with chemicals or medications. As of last month, the Backwards Beekeepers boasted 400 members. 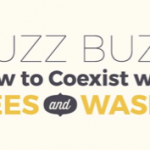 Wong gave me the buzz on why beekeeping is so controversial and how the practice can revitalize communities throughout the country. Why has legalizing beekeeping across Los Angeles faced obstacles while other cities like New York have had success? L.A. is just more complicated than most cities because the laws are super confusing and made up of many municipalities that morphed over the years into the greater L.A. area. We want a blanket law that makes all areas of L.A. the same. There are many communities throughout the country where beekeeping was never made illegal, even as cities grew. Why is urban beekeeping so important, and how will legalizing beekeeping benefit the city and its residents? At a time when the economy is so shaky, I feel lucky that I’ve created a valuable service job for myself that cannot be outsourced beyond the community, doesn’t have to be subsidized by the government or a private financing source, generates next to no trash, doesn’t rely on the exploitation of animals or people, and has such a positive impact on the environment. One-third of the human diet is derived directly or indirectly from honeybee-pollinated plants. Many food plants — such as nuts and stone fruit — are exclusively pollinated by honeybees. It takes half the honeybee population in all of North America just to pollinate the spring almond crop in California! Honeybees are also an important tool to fight hunger. Honeybees are such good pollinators that they improve crop yields by 30 to 60 percent. Thirty-seven million Americans are currently facing hunger. A 30 percent increase in crop yield in a home garden can mean the difference between a family feeding itself and a family relying on food assistance. And, because honeybees forage for nectar in a three-mile radius of their hive, they spread the love to the entire neighborhood. Even trees in the parks stay healthier because of bee activity. Honeybees are dying off at an alarming rate — six percent a year globally. Contrary to most stories in the media, most of this die-off stems from unsustainable farming and animal husbandry practices. By keeping feral bees that have adapted to our local ecosystem and refusing to dose my bees with chemicals or medications, I’m helping maintain a healthy, disease-resistant gene pool that will help ensure the survival of an entire species. What are some urban beekeeping myths that need to be dispelled? 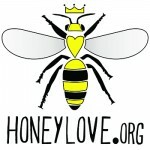 IF YOU HAVEN’T DONE SO ALREADY – PLEASE CLICK HERE TO SIGN OUR PETITION TO LEGALIZE BEEKEEPING IN LOS ANGELES! !